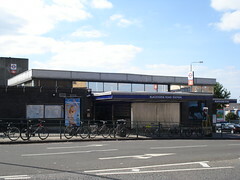 Zone 3 Tube and London Overground station on the Victoria Line and the Gospel Oak to Barking Line. Last edited 2017-03-06 16:44:15 (version 10; diff). List all versions. Page last edited 2017-03-06 16:44:15 (version 10).